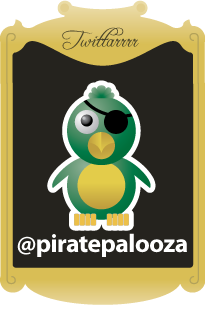 We have one last surprise for you from this year’s PiratePalooza™ and no, it’s not your hamburger (didn’t you hear? they’re still a little behind in the kitchen). 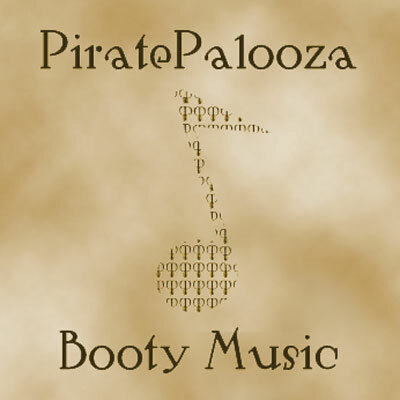 No, our little surprise is an “internet album” of pirate-themed music from some of the very same performers you saw on stage at this year’s PiratePalooza™ on Saturday, September 15th!! Best of all? This album is absolutely free and it’s available NOW. That’s right FREE and NOW. You should know that this album was spearheaded and produced by Dolph Amick (one of those bigwig backers of the band Three Quarter Ale) and it was wholeheartedly supported by the kindhearted performers who lent their talents to the creation of this album. Just because I love my crew (especially the lassies) I’m giving you four routes to get this album (the creation of which I had nothing to do with, mind you)!! – Click on through to get the details, they’re fantastic and EASY… you’ll be listening to music in SECONDS!!! !